1. Seeking Admission to the U.S.
Customs and Carrying Cash into the U.S.
Leaving and Reentering the U.S.
6. Studying in the U.S.
9. Giving Birth in the U.S.
10. Bringing Domestic Employees to the U.S. This article discusses the requirements and procedures for admission to the U.S. as a nonimmigrant. It also covers your responsibilities in order to maintain legal nonimmigrant status. It’s important to be familiar with these responsibilities because a violation may make you ineligible for extension of status or change of status, ineligible for adjustment to lawful permanent resident status, and in some cases deportable from and inadmissible to the United States. This article describes issues that apply across nonimmigrant categories. Our firm will separately advise clients regarding issues that are specific to particular nonimmigrant categories. For example, an F-1 student visa holder must maintain a full course load, and an H-1B worker must do specific work. In addition, this article introduces other rights and responsibilities of nonimmigrants, such as those related to driver’s licenses and health insurance. You will be inspected by a U.S. Customs and Border Protection (CBP) inspector when you arrive in the U.S. Issuance of a visa doesn’t guarantee admission to the U.S. The visa merely gives you permission to apply for admission. The CBP inspector will determine whether you should be admitted to the U.S., and if so, the terms and conditions of your admission. Bring your visaed passport with you, of course. In addition, we recommend that you bring with you in your carry-on luggage (not in your checked luggage) copies of all the documents we asked you to bring to the Consulate in connection with your case. At the airport, the CBP inspector may want to review these documents. On the plane, the flight attendant will give a Customs Declaration Form 6059B. This form includes basic information about what you are bringing into the country, such as agriculture products and whether or not you have visited a farm prior to traveling to the United States. You can file one Form 6059B jointly or for a family if, for example, (a) you are related by blood, marriage, or adoption, or you are two adults in a civil union or domestic partnership; (b) you lived together in one household at your last permanent residence; and (c) you intend to live together in one household after arrival in the U..S.
A complete discussion of U.S. customs laws is beyond the scope of this article, but it’s important to note that when entering the U.S., you will be required to declare to the U.S. Customs Border Protection (CBP) the amount of “monetary instruments” you are bringing into the country. Monetary instruments refer to coins or paper money of the United States or other foreign countries, travelers’ checks, personal checks (endorsed) or money orders, securities or stocks in bearer form, promissory notes, bills of lading, etc. A person who carries currency or other monetary instruments in an aggregated amount exceeding 10,000 USD at one time into the U.S. is required to file with CBP a “FinCEN Form 105: Report of International Transportation of Currency or Monetary Instruments.” Depending on the specific situation, failure to file the report, or filing report with a material omission or misstatement, or filing a fraudulent or false report, may be a crime and the monetary instruments may be seized and forfeited. Upon arriving in the U.S., the airlines staff will direct you toward the CBP inspections station. You should queue in the line for “visitors” (unless CBP tells you otherwise). If you are entering the U.S. with family members who are permanent residents or citizens, you can line up with them. The inspector may ask questions about you and your trip similar to those which the consular officer may ask during an interview. You will also be photographed and electronically fingerprinted. Inspection is often brief. However, if the inspector believes that a more detailed inspection is required, you may be escorted to a separate area for “secondary” inspection. Effective April 30, 2013, CBP has eliminated the previous requirement that every person seeking admission to the U.S. as a nonimmigrant must fill a paper Form I-94, Arrival/Departure Record. If you will be entering the U.S. by airplane, skip to the following section regarding the automated I-94 process. If you are entering the U.S. at a land port of entry, CBP will provide you with a Form I-94 to fill out. Then, when the inspector decides to admit you to the U.S., he or she will staple into your passport the Departure Record portion of the Form I-94, where the officer will write the status you have been admitted in and the date by which you must leave the U.S. When the inspector returns your passport to you, take a look at the officer’s notes on the Form I-94 to ensure the form reflects correctly your intended nonimmigrant status and expiration date. If there appears to be a problem, tell the inspector. Also, if you like, after you enter the U.S., you can scan and email us copies of both sides of the I-94. We will review it to ensure there are no errors which could create problems for you. CBP phased in an automated Form I-94 process for air travelers beginning April 30, 2013. The automation means that affected visitors will no longer need to fill out a paper form when arriving to the U.S. by air. Records of admission will now be generated using traveler information already transmitted by the airlines to CBP through electronic means. using the website if they did not receive a hard copy attached to their passport. (www.cbp.gov/i94). Individuals can print a copy of an I-94 based on the electronically submitted data, including the I-94 number from the form, to provide as necessary to benefits providers or as evidence of lawful admission, such as to apply for a Social Security card, driver’s license, to complete employment eligibility verification, or to change or extend status with USCIS. We recommend that all clients download their I-94, check it for accuracy, and contact our firm if it contains incorrect information. If you intend to travel abroad and return to the U.S., before you leave you should check that your visa is valid for additional entries and will not have expired on the date you intend to reenter. If not, you will need to apply for a new visa, unless you fall within limited exemptions. And in some cases, the visa application will need to be filed at a U.S. consulate in your home country. Before you leave the U.S., also check the expiration date on your passport. To be readmitted as a nonimmigrant, you must have a passport valid for six months beyond your period of contemplated stay in the U.S. In practice, if your passport is only good for eight months the immigration inspector will ordinarily admit for two. If you depart the U.S. by plane, and if you were issued a paper I-94 by CBP, be sure to turn it in to the airlines. This returned portion of the form proves you did not violate U.S. laws by staying in the country too long. This is essential to facilitate your return to the U.S. in the future. Even once you have nonimmigrant status, whenever you apply for a visa or pass through inspection at a port of entry like an airport, the government evaluates whether or not you should be re-admitted to the country. We recommend that our clients consult with our firm before traveling abroad to make sure of eligibility for readmission. New hires: If you are a new hire, the employer should have you complete Section 1 (Employee Information and Verification) of the I-9 at the time of hire. In addition, within 3 days of hire, the employer should complete Section 2 (Employer Review and Verification), including reviewing evidence of your identity and eligibility to work, which will be either (a) your unexpired foreign passport and Form I-94 authorizing work, or (b) your USCIS employment authorization card. Re-verifications: If you are a continuing employee whose prior evidence of employment authorization has expired, the employer should immediately complete Section 3 of the I-9 (Updating and Reverification). Or, if the Section 3 of your I-9 was previously filled in, the employer should fill in Section 3 of a new I-9, then write your name on top and attach it to the old I-9. In either case, the employer should review evidence of your eligibility to work. Independent contractors: If you are truly an independent contractor and not an “employee,” the employer need not complete an I-9. Note that USCIS requires use of a new version of Form I-9, effective May 7, 2013, for both new hires and re-verifications. “E-Verify” is an Internet-based system that some employers use to compare information from the Form I-9 to government records to verify employees’ eligibility to work in the U.S. E-Verify is voluntary for most businesses, but some companies may be required by state law (e.g., in Arizona or Mississippi) or Federal law (e.g., certain Federal contractors and subcontractors). Our firm is available to provide advice about the I-9 and E-Verify process. A nonimmigrant authorized to work in the U.S. is eligible for a Social Security Number (SSN). In contrast, a nonimmigrant who is not authorized to work in the U.S. (for example, B-2 visitors, H-4s dependents, and L-2 children) will not be issued an SSN. H-1Bs and L-1s will need to bring their passport and I-94. L-2s spouses will need to bring their passport, I-94, and either a work authorization card issued by USCIS or their marriage certificate with an appropriate English translation. Visit www.ssa.gov to find the nearest SSA office. SSA is required to verify a foreign national’s immigration documents and status with the USCIS’ Systematic Alien Verification for Entitlements (SAVE) information database before processing an SSN application. An employer may hire, pay, and complete a Form I-9 for a foreign national whose application for an SSN is pending. For employers that use E-Verify for employment eligibility verification, a case cannot be completed without an SSN, so special instructions must be followed an employee with a pending SSN application. For information about payroll and other tax issues, please see the IRS Tax Guide for Aliens (http://www.irs.gov/pub/irs-pdf/p519.pdf) or consult a qualified tax professional. Nonimmigrants are admitted to the U.S. for a specific purpose. For example, an H-1B worker or L-1 intracompany transferee is admitted to perform designated work for a specific employer. An F-1 student is admitted to undertake a particular course of study at a specific university. Cessation of the activity that is the basis of your nonimmigrant status can be considered a violation of status. Therefore, if it all possible, contact our firm before you cease that activity. According to Department of Homeland Security (DHS) rules, “[a]ny unauthorized employment … constitutes a failure to maintain status.” If your visa does not allow you to be employed in the U.S., you should avoid unauthorized employment. And if your visa does allow you to be employed in the U.S., then you need to be familiar with the limits of what work is authorized. For instance, an H-1B temporary worker may only perform certain duties for a particular employer in a specific location. What specifically is “employment” for this purpose? Employment refers to not only direct employment, but also work as an independent contractor or self-employment. Regarding entrepreneurial activities, being a shareholder is not employment. Being a director (board member) typically should be a passive activity, too, because directors’ role is one of oversight and approval (electing officers, approving major transactions, etc. ), rather than running the business. Being an officer does count as “employment,” however. Officers are directly responsible for running the business, thus they inherently are actively involved in working for it. Purely voluntary service for a non-profit organization that is not compensated in any way (immediately or through future payments) is not unauthorized employment. If a noncitizen in the U.S. moves, they are required to report their new residence address to DHS within 10 days using DHS Form AR-11. You do not need to complete AR-11 when you go on vacation or temporarily re-locate. Generally, if you live in one place as a residence for more than 30 days, you should complete Form AR-11. The form is available online at www.uscis.gov. Failure to comply is a ground for deportation and a misdemeanor punishable by a $200 fine and/or imprisoned for up to 30 days. Note that if you have a pending application or application at USCIS, you need to file a separate notice of address change with the appropriate USCIS office. Of course, please notify our law firm of any address change too. A nonimmigrant is required by law to maintain a valid, unexpired passport throughout their stay in the United States. It’s also a good practice to keep a copy of your passport in a safe place in case the original is lost or stolen. For example, scan it and email it to yourself and a family member. If age 18 or over, a noncitizen must “at all times” carry with them evidence of registration. For a nonimmigrant, the proper evidence is a passport and either (a) a valid, unexpired nonimmigrant CBP admission stamp in the passport; or (b) a paper Form I-94, Departure Record, which is the small white card issued when you last entered the U.S., changed nonimmigrant status, or extended your nonimmigrant status. (CBP issuance of paper I-94s will begin to be phased out as of April 30, 2013). The Foreign Agents Registration Act requires every agent of a foreign principal to register with the Department of Justice and that that the agent’s informational materials be labeled with a statement that it is disseminated by the agents of a foreign principal. For this purpose, a foreign principal includes a foreign government, political party, or corporation having its principal place of business abroad. The agent of a foreign principal is an individual or organization that represents the foreign principal or acts at its request and engages in political activities, public relations activities, or representation of the interests of the principal before the U.S. government. Failure to comply with the Act is a crime, and conviction makes a person subject to deportation. The purpose of the Act is to ensure that the U.S. Government is informed of the source of information (propaganda) and the identity of persons attempting to influence public opinion, policy, and laws. DHS has imposed by regulation the condition of full and truthful disclosure of all information it requests. Willful failure to provide such information, even if not material, is specifically deemed a failure to maintain status. Some nonimmigrants (e.g., J-1 exchange visitors or F-1 students) have Forms I-94 with an expiration date shown as “D/S” instead of a particular expiration date. “D/S” stands for “duration of status” and means that your authorized period of admission is controlled by a separate document. For F-1 students, that document is the Form I-20A-B, Certificate of Eligibility for Nonimmigrant (F-1) Student Status for Academic and Language Students. For J-1 exchange visitors, that document is the Form DS-2019, Certificate of Eligibility for (J-1) Exchange Visitor Status. If you are interested in applying for a change of status or extending your status, please contact our firm as early as possible. Ineligibility for change or extension of nonimmigrant status: You become ineligible to apply to DHS to change or extend your status within the U.S. Instead, to obtain a new nonimmigrant status or to obtain more time in the U.S. in the same nonimmigrant status, you must leave the U.S., apply for a new visa at the U.S. consulate if required, and then seek readmission at an DHS port of entry. An overstayer may nonetheless be granted a change or extension of status by DHS if they overstay was due to “extraordinary circumstances” beyond their control. Visa cancellation: With the exception of persons admitted to the U.S. for “D/S,” overstay for even one day beyond the date shown on the I-94 may automatically void the visa in your passport. 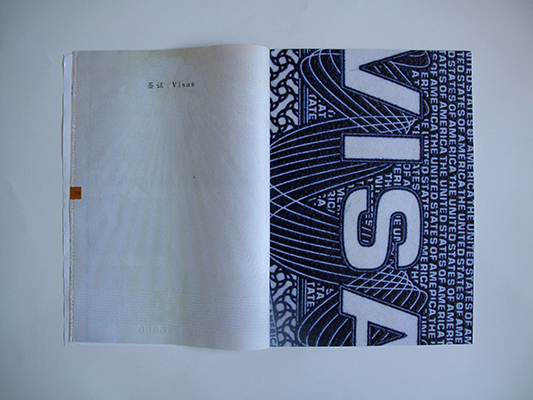 Prohibition on obtaining a visa in a third country: With the exception of persons admitted to the U.S. for “D/S,” overstay for even one day beyond the date shown on the I-94 may automatically bar you from obtaining a new visa unless it is issued in a consular office located in the country of your nationality. Deportability: An overstayer is subject to deportation. DHS would begin the process by issuing you a Notice to Appear before an Immigration Judge. Ineligibility for adjustment: With the exception of immediate relatives of U.S. citizens, overstay may render a person ineligible to apply to DHS to adjust to LPR status within the U.S. In particular, for person seeking to adjust status on the basis of an employment-based immigrant petition, overstay (or any other type of status violation) for 180 days since one’s most recent admission to the U.S. may render them ineligible for adjustment. Three- and ten-year bars: With the exception of persons admitted for “D/S,” a person who overstays for a period of 180 days and then departs the U.S. voluntarily and not while in deportation proceedings is barred from returning to the U.S. for a period of 3 years. Such a person who overstays for an aggregate of one year after April 1, 1997 and then leaves the U.S. is barred from returning to the U.S. for a period of 10 years. Crimes may be considered a violation of immigration status or render you deportable or inadmissible. A foreign national arrested for or charged with any crime should immediately seek advice not just from a criminal attorney but also from an immigration attorney in order to discuss ways to minimize potential adverse immigration consequences. DHS has a handy chart showing which types of studies nonimmigrants in each nonimmigrant status may undertake while in the United States. See Nonimmigrants, Who Can Study in the U.S., https://lawandborder.com/nonimmigrants-who-can-study-in-the-u-s/. For example, an H-1B temporary worker is not precluded from attending school full-time so long as study is not his or her primary purpose for being in the U.S. Similarly, a B visitor in the U.S. for another primary purpose may engage in a short course of study. However, a B visitor generally may not enroll in a regular course of study. A parent who puts a child with B status into school within a relatively short period of entering the U.S. may even be charged with inadmissibility or deportability for alien smuggling. Each state has different rules on use of foreign or international driver’s licenses and obtaining a state driver’s license. All states have rules that in general require a social security number (SSN) to qualify for a driver’s license, although there are exceptions to those rules. For example, Illinois, Kentucky, New Mexico, Utah, and West Virginia will in some cases accept an Individual Tax Payer Number (ITIN) as an alternative to the SSN. Most states require that a driver’s license applicant be lawfully present in the U.S. The exceptions are Hawaii, Maryland, New Mexico, Utah, and Washington. And in most states the driver’s license will expire when your nonimmigrant status expires. Also, if you plan to rent a car with a foreign or international driver’s license, contact the car rental agency to be sure that your license will be sufficient. Nonimmigrants are typically required to pay their own medical costs. As a result it is advisable to take out health insurance. Temporary visitors to the United States can obtain accident and sickness insurance before departing China. Many local insurance brokers as well as many travel agents can arrange such coverage. It is also possible to health insurance after arrival in the States. Sometimes it is available through an employer, as many companies arrange group insurance for their employees. For information about choosing a health insurance provider, see http://www.ahrq.gov/consumer. There is no legal prohibition against a nonimmigrant opening a bank account in the U.S. However, banks must comply with all federal banking requirements, which may require that the individual have a Social Security Number or Individual Taxpayer Identification Number to open an account. A nonimmigrant may purchase a home in the U.S. However, there may be difficulty obtaining a mortgage because of the employee’s temporary status in the U.S. While there are mortgage companies willing to lend to nonimmigrants, the terms are generally not as generous as the terms offered to permanent residents or U.S. citizens, due to the temporary nature of a nonimmigrant’s status in the U.S. Purchasing a residence in the U.S. will have no effect (positive or negative) on the individual’s ability to adjust to lawful permanent resident status. A child born in the U.S. is a U.S. citizen. The child may also have acquired the foreign citizenship of his or her parents. A U.S. citizen child may not petition on behalf of a parent for immigrant benefits until the U.S. citizen child is 21 years of age. A nonimmigrant may bring domestic employees to the U.S. However, several conditions apply. The domestic employee must demonstrate at least one year’s experience as a personal or domestic servant; the nonimmigrant and the employee must sign an employment contract guaranteeing that the employee will be employed only by the nonimmigrant and will receive the prevailing wage and free room and board; and either that the employee was employed by the nonimmigrant abroad as a personal or domestic servant for at least one year prior to the date of the employer’s admission to the United States, or that the nonimmigrant has regularly employed (either year-round or seasonally) personal or domestic servants over a period of several years preceding the domestic servant’s visa application. Domestic servants are given visas in the B-1 nonimmigrant category, and should apply for an employment authorization document from the USCIS upon arrival in the U.S.
Foreign nationals “admitted to the United States under a nonimmigrant visa” are prohibited from owning guns. This prohibition doesn’t reach nonimmigrants admitted to the U.S. without visas, such as under the Visa Waiver Program and Canadian visitors for business or pleasure.